Hello everybody! 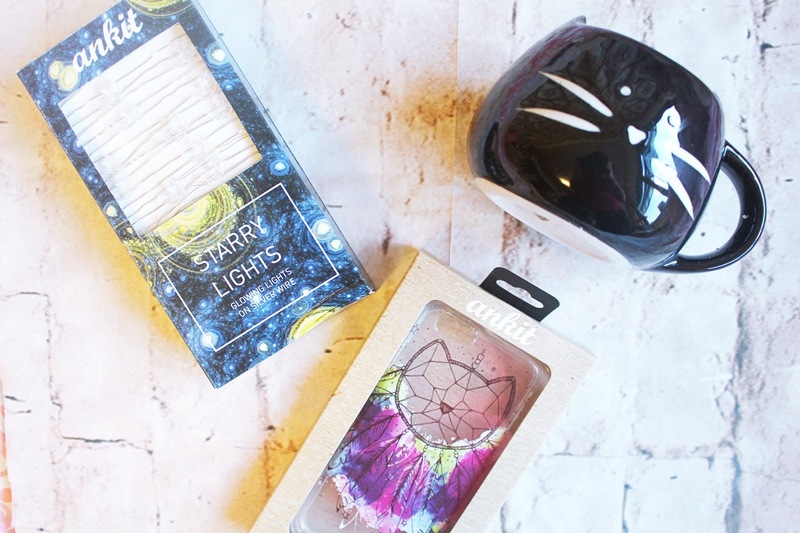 Today I wanted to share with you a couple of bits I got from Ankit which is a store that sells in shops such as Urban Outfitters but also sell their stuff online! I hadn’t heard of the brand before so was really excited when I got my things! The item I was most excited was definitely my fairy lights! They are so precious! I love the moon and the star combo it looks so pretty when lit up as you can see from the photo above. I have the lights hanging around a tapestry in my room and when they are lit up at night it makes the whole room seem so much cosier and homely I love it! 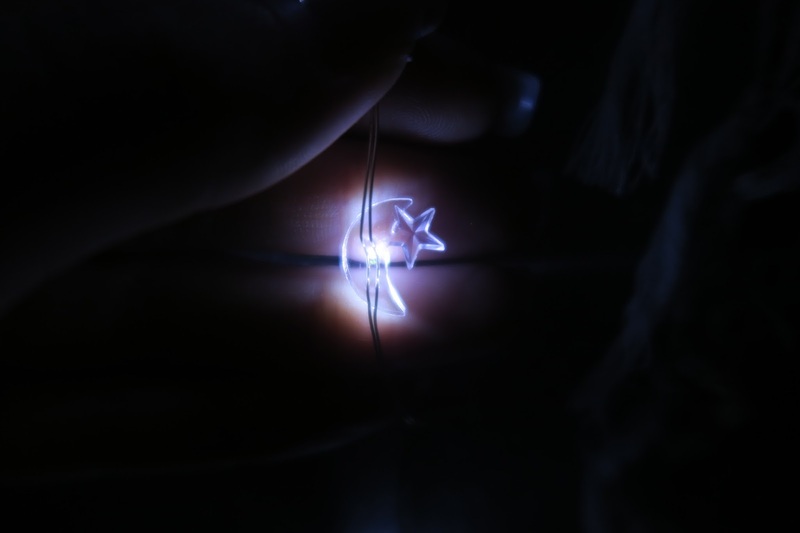 I think that finding unique fairy lights is pretty hard and I haven’t seen anyone at college with these one’s yet. 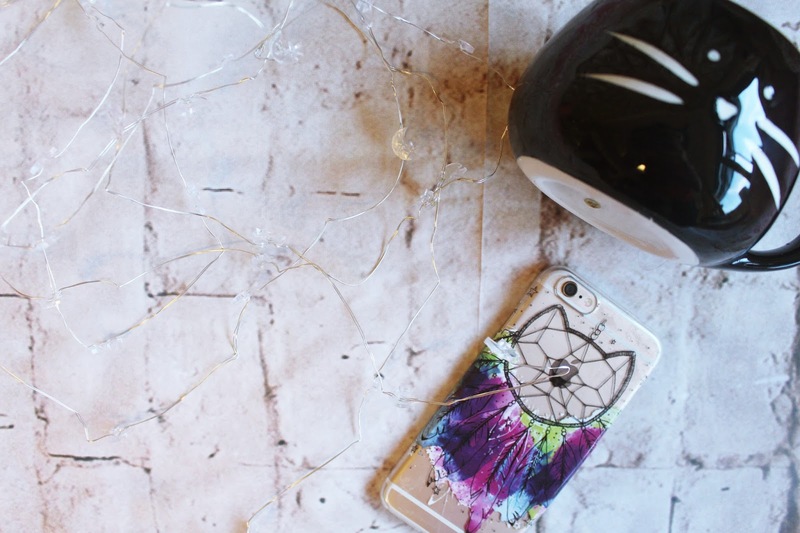 Phone cases are so hard to get right because you see it everyday you don’ want to get it wrong! I love phone cases that are clear back because I really love the golden colour of my phone so still want to be able to see that and protect my phone. 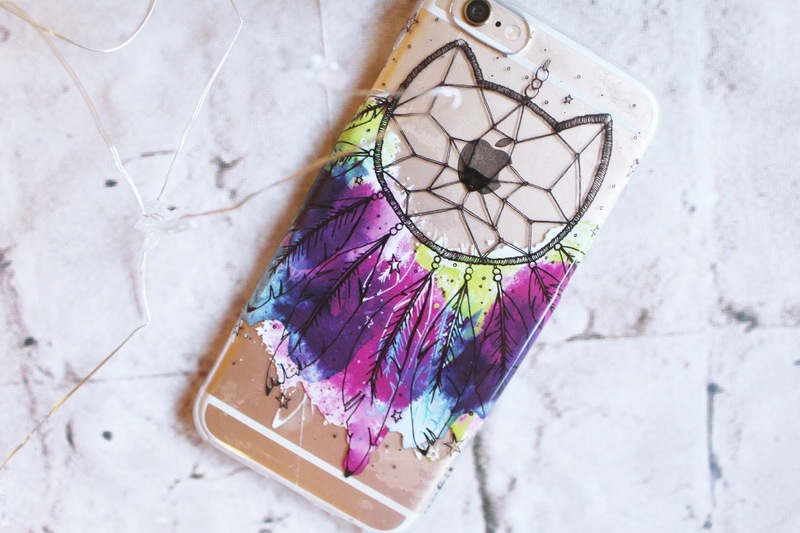 I love the dream catcher because just the general dream catcher vibe is so hippie and makes me smile. The colour combination on the phone is so bright and cute too! How cute is this mug! I’m always drinking my fair share of coffee and tea and so having a mug for every occasion is something I pride myself on (also in my collection is Chip from Beauty and the Beast and a mug that says ‘I literally just don’t care at all’ – you know, for Monday mornings!) I like the size and shape of this mug as it’s sort of oval/circular shape so fits really well in your hands when you’re trying to warm up in the morning! What do you guys think of my Ankit picks?